Editor’s Note: Thae Yong Ho was serving as North Korea’s deputy ambassador to the United Kingdom when he chose to defect with his family to South Korea in 2016. 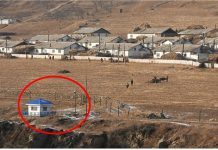 Following the recent release of his book, “Cypher of the Third-Floor Secretariat,” and his departure from the Institute for National Security Strategy (INSS), he has committed himself to improving the outlook for those still living in the DPRK. His current efforts focus on information sharing and the power of education to effect change. Every December, the UN General Assembly adopts a resolution condemning the human rights situation in North Korea. This year, it is expected that the resolution will be adopted without a vote. There is a strong interest in the improvement of the human rights of North Koreans in the international community. In fact, it is only in South Korea that the issue of improving human rights in North Korea seems to be going backwards. The North Korean Human Rights Foundation in South Korea, a key organization in improving human rights in North Korea, still is yet to be launched. This is due to the problem of appointing directors for the foundation from among the ruling and opposition parties. Even though it has been two years since the North Korean Human Rights Act was passed, it is slowly becoming a lifeless body, holding onto its last breath. On August 28 this year, the government reduced the budget for the Human Rights Foundation of North Korea by 92.6% from 10.8 billion won to 0.8 billion won. There are also concerns that the launch of the Human Rights Foundation has virtually been indefinitely postponed. The North Korean Human Rights Foundation is an official organization that is to be established in accordance with the North Korean Human Rights Act, which was eventually passed after 11 years. As the North Korean Human Rights Foundation is delayed, North Korean human rights organizations are in danger of facing a financial crisis. Some argue that the root cause of the North Korean Human Rights Foundation is not the issue of appointing directors between the ruling and opposition parties. Rather, it is that there is an ideology that has led to the lack of interest in the implementation of the North Korean Human Rights Act and an indifference to the fate of the Act. Before I came to South Korea, I was not able to understand why the issue of improving the human rights of North Koreans was so political in South Korea. Now I am beginning to understand. As far as I can see, the progressive politicians who were affiliated with socialism and nationalism in the past, seem to be more afraid of aggravating the North Korean regime than being concerned about the suffering of their North Korean compatriots. 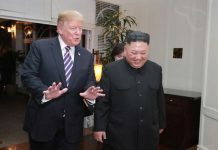 They also seem to think that the universality of human rights can be denied given the uniqueness of inter-Korean relations; and that the human rights of North Korean compatriots can be pushed aside for the progress of inter-Korean governmental relations. There are also some conservative politicians who lack the awareness that human rights are a key element of liberal democracy, and their willingness to contribute is weak. The North Korean Human Rights Act was passed by consensus at the National Assembly. Thus it is an official request and mandate of the people. It is therefore not acceptable for to turn away or let the words “North Korean human rights” fall upon deaf ears. It is against the progress of civilization and the conscience of mankind to let the human rights of North Koreans be surrendered for the progress and uniqueness of inter-Korean governmental relations and national unification. The most important issue in achieving the reunification of Korea is to give the North Koreans the same treatment as the South. They must also be able to exercise the same universal human rights like the South Korean people. Unless we consider the North Korean people to be the same as us, unification is nothing more than an empty cry. I have a request for the government, and the ruling and opposition parties. I ask for the acknowledgement that the first step in improving the human rights situation in North Korea is by implementing the North Korean Human Rights Act through the launch of the North Korean Human Rights Foundation. Also that time should not be spent fighting over the operation of the Foundation, but compromises should be made for the bigger picture. The launch of the North Korean Human Rights Foundation will enable the international community to be aware of the urgency of the human rights situation in North Korea and maintain the national pride of South Korea. In order to get rid of the image that it is ignoring the North Korean human rights issue, the government should quickly appoint somebody to the position of North Korean Human Rights Ambassador under the Ministry of Foreign Affairs, a position that has been empty for over a year. The role of civil society organisations is crucial to improving the human rights situation in North Korea. If NGOs just wait for government support they will not be able to do anything. Rather, NGOs should go public and actively raise awareness of the North Korean human rights situation and the North Korean Human Rights Act. The government, political and civil society groups must work together to free the issue of North Korean human rights from the influence of anachronistic ideals. I eagerly await the day that South Korean society takes the lead in advancing the day that the North Korean people enjoy the same human rights as the South.